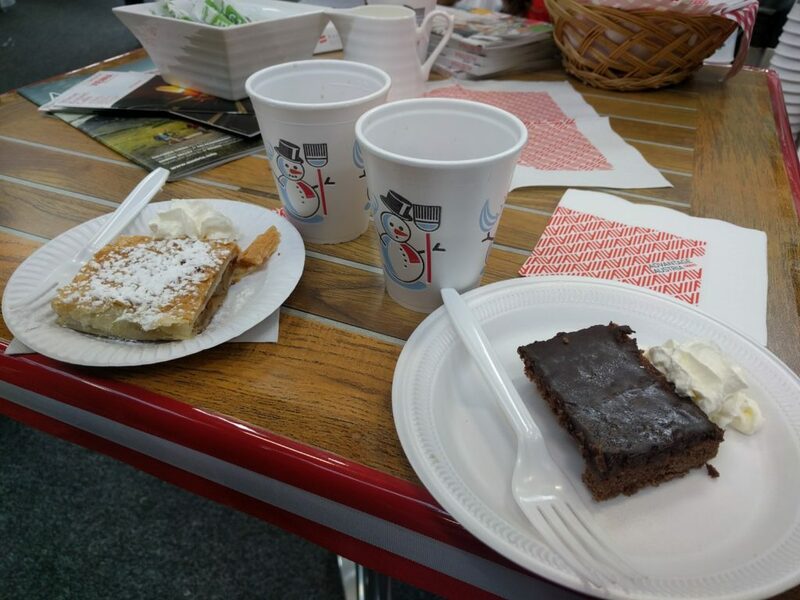 It was the Austrian embassy through whom we had found out about the market, so we stopped at their booth first. Of course we couldn’t resist our favourite desserts. There was also proper Austrian punch, which we’ve been longing for ever since people started posting their Christmas market pictures a week ago. 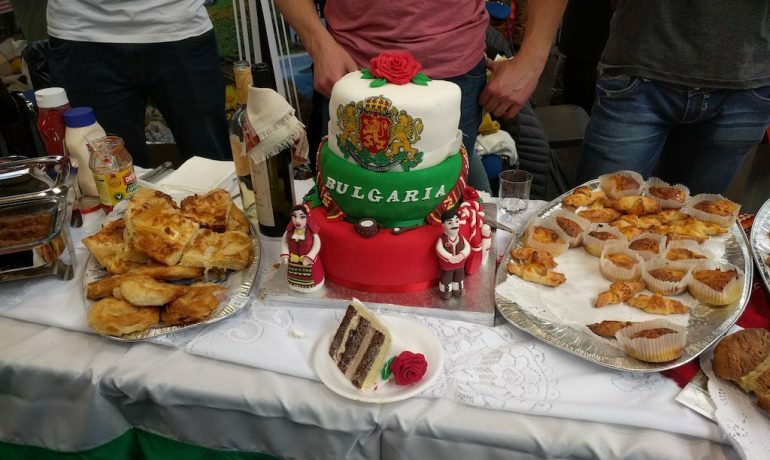 The lovely people at the Bulgarian booth noticed us admiring their amazingly designed cake and gave us what looked like a dessert. It turned out to be filled with cheese which was surprisingly delicious and reminded us of the cheese burek we had in Slovenia. 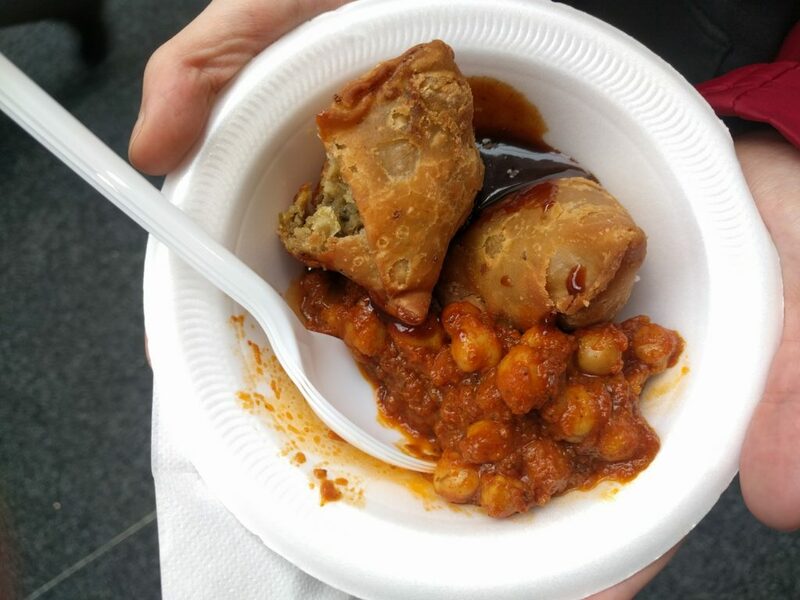 Sam had traditionally Indian samosas and curry. It was different from the samosas usually found in the Caribbean. While he appreciated the spicy curry, I knew there was a ton of pepper in it because my allergy kicked in by merely standing next to it. 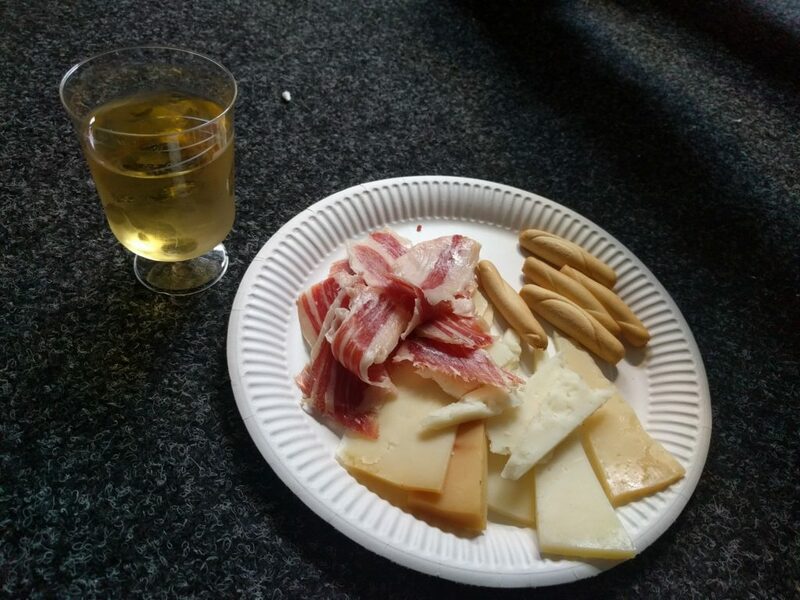 I went with Spanish tapas, consisting of different types of cheese and jamón serrano. 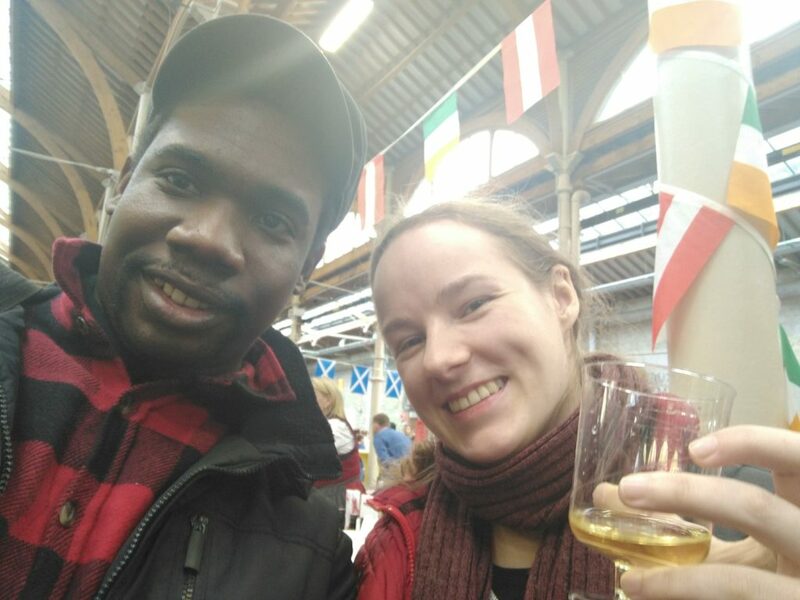 The cheeses were a variety of mild, strong and goat’s cheese. But I particularly enjoyed the ham since it reminded me of when I went on a language exchange in Madrid and had this type of ham almost every day. We finished our culinary journey around the world with traditional Moroccan mint tea. I was excited about this one because I had Moroccan mint tea in a mosque in Paris and loved it. The one we had at the bazaar was a bit too sweet for my liking but perfect to warm up before braving the cold on our walk by the riverside.